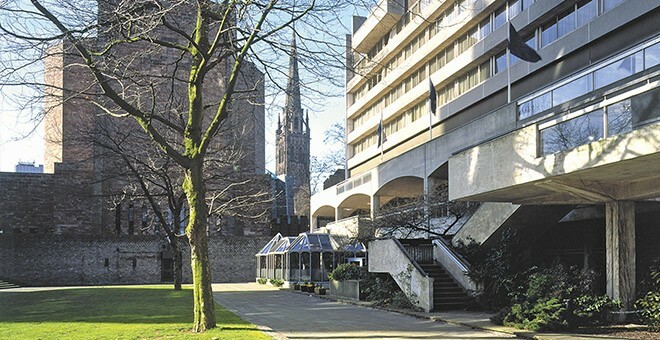 Located in the heart of the city, Britannia Hotel Coventry is in a prime position overlooking Coventry Cathedral making it the perfect base for an affordable hotel in Coventry. 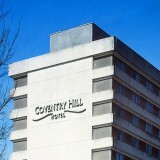 Whatever your reason is for visiting Coventry, the Britannia Hotel Coventry is a great choice for a city break. Coventry is home to rich history and an abundance of art and culture so there’s plenty to see and do for the whole family! Coventry and its Cathedral was devastated by the Blitz in 1940. It left the old Cathedral in ruins, which still exists today as a memorial. A new Cathedral was built, which is breath-taking and one of the city’s most outstanding features. Warwick Castle is only 10.8 miles away from the hotel and will be a great family day out! Explore the castle and grounds or if you’re brave enough venture into the castles dungeon where you can witness some of the darkest and most terrifying times in the castle’s history. There are also daily shows and activities to keep the whole family entertained. Coventry Transport Museum, 0.1 mile, is home to the largest collection of British-made road transport. Discover how Coventry became the centre of the worlds motor industry and get up close to the biggest collection of British road transport. Maybe you’re visiting the area to attend a show. The Belgrade Theatre is just a 6-minute walk from the hotel, so why not stay over in Coventry and make the most of your evening? If shopping is high on your agenda, then Coventry will not leave you disappointed! West Orchards and Lower Precinct Shopping Centre are within a 10-minute walk. You’ll find popular stores such as Debenhams, Marks & Spencers, The Body Shop, H&M, Pandora, Next and New Look, plus plenty more. You’ll also find many eateries and bars around the area in case you need to have a pit stop and re-fuel! 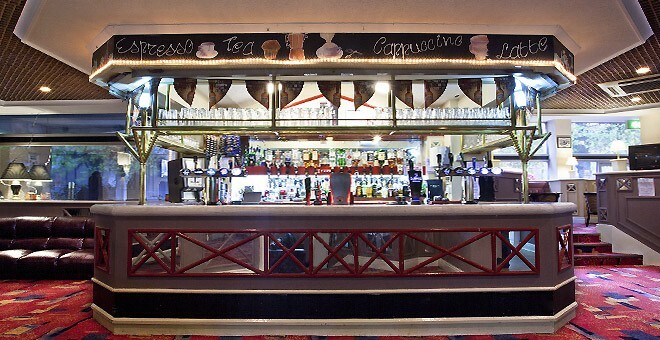 Britannia Hotel Coventry has many on-site facilities to help make your stay more comfortable. 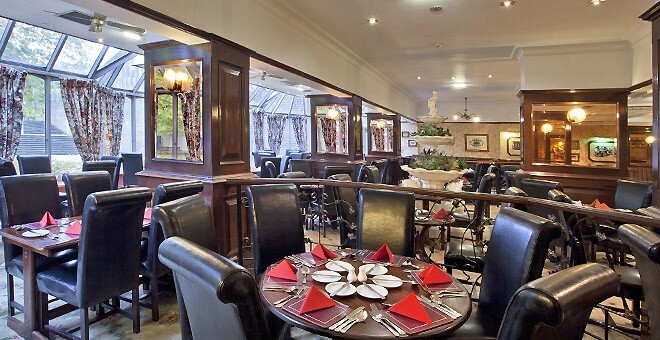 Bentley’s Restaurant overlooks Cathedral Square and serves a delicious breakfast and dinner daily. Daimlers Bar is open till late offering hot and cold beverages and snacks. 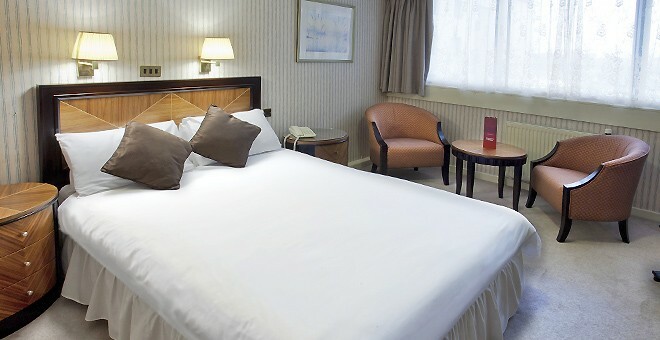 The hotel has over 200 spacious en-suite bedrooms, furnished with a TV, telephone and tea and coffee making facilities. 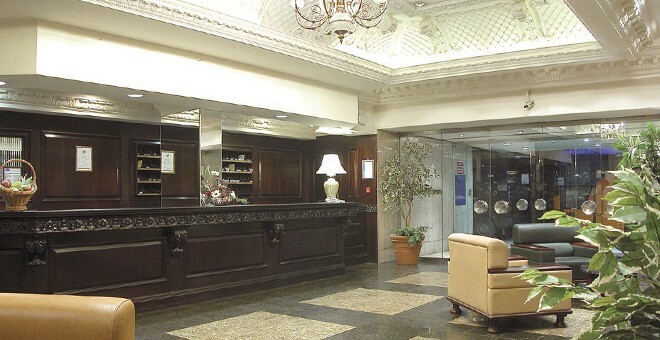 There is a 24-hour reception and free Wi-Fi in public areas (see Hotel Information for more details on Wi-Fi). The hotel has various function suites with corporate and wedding packages available. 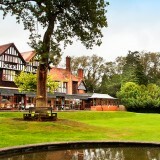 The hotels central location means that it’s just minutes away from the A4053, which circles the city. Britannia Hotel Coventry does not have its own car park, so if you’re travelling by car the best place to park would be on Cox Street, a 2-minute walk away. Public transport is easily accessible, Coventry Train Station is 1.5 miles away, around a 16-minute walk, and Pool Meadow Bus Station is opposite the hotel.